BOSTON, Feb. 06, 2019 (GLOBE NEWSWIRE) -- Paratek Pharmaceuticals, Inc. (NASDAQ: PRTK), a biopharmaceutical company focused on the development and commercialization of innovative therapies based upon tetracycline chemistry, announced The New England Journal of Medicine (NEJM) today published detailed results from the OPTIC and OASIS-1 Phase 3 clinical trials of NUZYRA™ (omadacycline). NUZYRA is a modernized tetracycline that is a once-daily intravenous (IV) and oral for the treatment of community-acquired bacterial pneumonia (CABP) and acute bacterial skin and skin structure infections (ABSSSI). Both studies published in NEJM met all primary and secondary endpoints and showed that NUZYRA was safe and well-tolerated. NUZYRA was approved by the U.S. Food and Drug Administration on October 2, 2018 for the treatment of adults with CABP and ABSSSI and is now commercially available in the United States. OPTIC was a global, pivotal Phase 3 clinical study that compared the safety and efficacy of once-daily, IV-to-oral NUZYRA to IV-to-oral moxifloxacin for treating adults with CABP. OPTIC demonstrated that NUZYRA was non-inferior to moxifloxacin for the treatment of adults with CABP and was safe and well-tolerated. In the intent-to-treat population, NUZYRA (n=386) was non- inferior to moxifloxacin (n=388) for early clinical response (ECR) (81.1% vs. 82.7%; difference [95% CI]: -1.6 [-7.1, 3.8]) and investigator assessment of clinical response (IACR) at post-treatment evaluation (PTE) was 87.6% vs. 85.1% (difference: 2.5 [-2.4, 7.4]). Efficacy results were consistent across study populations, PORT Risk Class and causative pathogen. The rate of serious treatment-emergent adverse events (TEAEs) was 6.0% in the NUZYRA-treated group and 6.7% in the moxifloxacin-treated group. The most common adverse events were gastrointestinal events (NUZYRA, 10.2%; moxifloxacin 18.0%) and included vomiting (2.6% vs. 1.5%), nausea (2.4% vs. 5.4%), and diarrhea (1.0% vs. 8.0%), respectively. There were no cases of Clostridium difficile colitis or infection in patients treated with NUZYRA, compared with eight cases (2.1%) in patients treated with moxifloxacin. The mortality rate was 2.1% with NUZYRA and 1.0% with moxifloxacin. The global pivotal Phase 3 registration study known as OASIS-1 evaluated the efficacy and safety of an IV to oral once-daily NUZYRA against twice-daily linezolid over a seven to 14-day course of therapy in 645 adult patients. OASIS-1 demonstrated that NUZYRA was non-inferior to linezolid for treating ABSSSI, with a similar safety profile. Efficacy results were consistent across study populations and sub-populations, type of skin infection and causative pathogen including MRSA. In the modified intent-to-treat population (mITT), NUZYRA (n=316) was non-inferior (10% NI margin) to linezolid (n=311) for ECR (84.8% vs. 85.5%; difference [95% CI]: -0.7 [–6.3, 4.9]). NUZYRA also was non-inferior to linezolid for IACR at PTE in the mITT (86.1% vs. 83.6%; difference: 2.5 [-3.2, 8.2]) and clinically evaluable (96.3% vs. 93.5%; difference 2.8 [-1.0, 6.9]) populations. In both groups, efficacy was comparable for methicillin-susceptible and methicillin-resistant Staphylococcus aureus infections, which account for nearly half of all ABSSSI isolates in the United States. Serious TEAEs occurred in 3.7% of NUZYRA patients and 2.5% of linezolid patients, none of which were considered related to study drug. Among TEAEs, gastrointestinal events were most common in both treatment groups (18.0% for NUZYRA and 15.8% for linezolid) and included nausea (12.4% vs. 9.9%), vomiting (5.3% vs. 5.0%), and diarrhea (2.2% vs. 3.1%), respectively. The mortality rate was 0.3% with NUZYRA and 0.6% with linezolid. Paratek’s second FDA approved product, SEYSARA™ (sarecycline), is marketed by Almirall, LLC in the U.S. as a new once-daily oral therapy for the treatment of moderate to severe acne vulgaris. 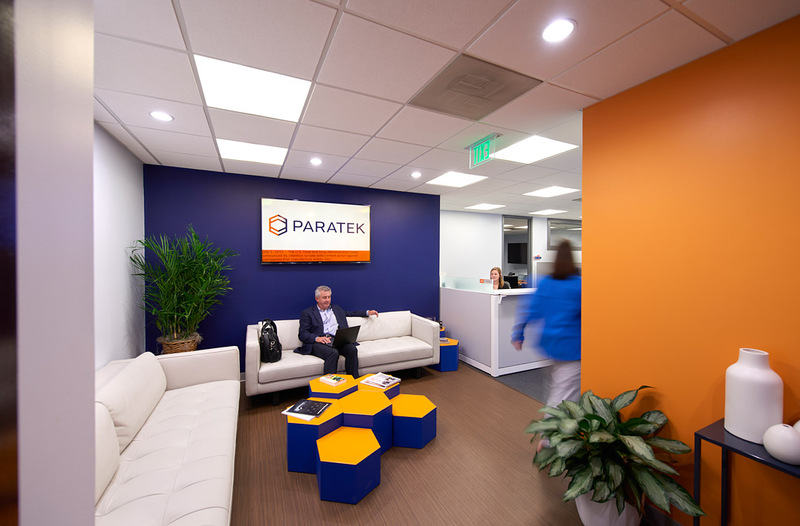 Paratek retains development and commercialization rights in the rest of the world.